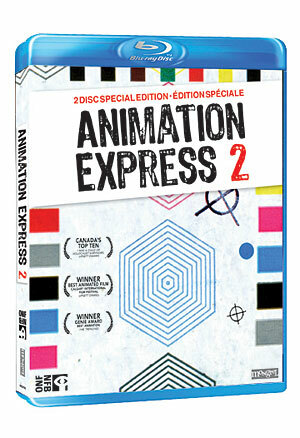 Animation Express 2 (Directors: Various): It’s hard to believe it’s been two years since the National Film Board of Canada released the original Animation Express collection. I raved about that collection, and although sequels are usually not as good as the original, this second collection is just as stuffed with treasures as the first. Particular favourites include the experimental CMYK, where printer’s marks dance around the screen to the music of the Quatuor Bozzini quartet, and Wild Life in which an Englishman trades his bowler hat for a cowboy hat, coming to Alberta in 1909 to try his hand at ranching. It doesn’t quite work out in this whimsical and yet haunting film. The DVD contains 20 more (and the Blu-ray 26 more!) and while I don’t like all of them quite as much as the two above (I particularly didn’t like the Meryl Streep and Forest Whitaker-voiced Higglety Pigglety Pop! or There Must Be More to Life), this collection continues to gather the very best in Canadian animation, some of the most-awarded work in the world. P.S. Though I’ll be posting more about this later, you can see both CMYK and Wild Life on the big screen as part of a new shorts screening series I’m launching in January. Behold Shorts That Are Not Pants. Hope you can join us! This entry was posted in DVD and tagged animation, blu-ray, nfb. Bookmark the permalink.